California Adventure is Disneyland's sister park in Anaheim, with their entrances located just across from each other. The sections of California Adventure take their cues from the state of California and from Disney and Pixar classic films—Hollywood Land, Paradise Pier, Cars Land, Condor Flats, and Grizzly Peak. The Disney theme park experience is never static, and this one is no exception, with changes and expansions that make it more fun every year. Disney Imagineers have created some fun experiences at California Adventure, a few of which are unique among all the Disney theme parks. Using an informal approach, it may take you two days to enjoy everything at California Adventure. Given just one day, if it's a busy one, you may miss out on some of the most popular rides. On the other hand, you can have more fun in less time if you use Ridemax to minimize waiting and experience everything California Adventure has to offer during a busy day. Ridemax is a planning tool that will guide you to the attractions with the shorter lines. 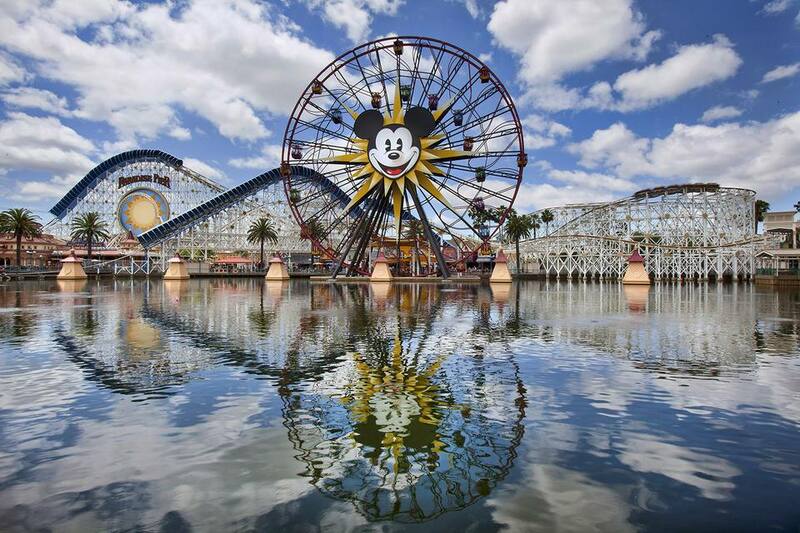 When you go to California Adventure, you'll want to experience the California Adventure Rides, some of which have height restrictions and some that are ideal for the little ones. Here's where the line-avoiding Ridemax will come in really handy. Shows and Parades include meeting Disney and Pixar characters, watching Frozen, the show, and enjoying a whole range of super-heroes in action. Entertainment and character experiences change from time to time throughout the year. Ridemax is used ahead of your visit to plan out how to maximize your time. You will also be able to save time in line by making Disney FASTPASS selections on your mobile device using the Disneyland app while you’re in the parks. You can purchase Disneyland tickets and passes online from Disney or you can buy them through the Disneyland app. There are also ways to get ticket discounts online. Decide when to go depending on school schedules and holidays. Every season has it pluses and minuses and there are ways to avoid crowds if you can. Special holidays, like Christmas and Halloween, while more crowded, bring events that delight all ages. Decide where to stay based on your budget and convenience. Right at the parks, you'll find the Disneyland Hotel, Paradise Pier, and the Grand Californian. Anaheim has many places to stay ranging from budget hotels to suites hotels with all the conveniences of home. There are ways to save money on your hotel stay including using a Military or AARP discount. While you are there, there are things to know and avoid doing like missing your FastPass window of time, and following the rules such as not bringing selfie sticks which, for safety reasons are on the list of prohibited items along with drones, remote-controlled toys, folding chairs, large tripods and quite a few other things. After you decide when to go and buy your tickets and discount passes, the next thing to consider is weather and packing. The best Disneyland weather is usually during spring or fall with much warmer weather coming in summer. As always, dress for comfort with good walking shoes. Layers, no matter what the season is, are in order because even when it's hot during the day, theaters may be chilly and evening brings cooler temperatures. Watch the weather reports for rain and carry a waterproof jacket on those days. There are several ways to Get to Disneyland. Disneyland is located in Anaheim, California at 1313 S. Harbor Boulevard. Disneyland is located just off I-5 in Anaheim. Exit at either the Harbor Blvd. or Disneyland exit. You can also get there on CA Highway 22, exiting at Harbor Boulevard going north, from CA Highway 91, exiting onto Harbor Blvd south or from CA Highway 55 or 57, exiting at Katella Avenue going west. There are five commercial airports in the Los Angeles area with Los Angeles International (LAX) being the most common arrival point for Disneyland visitors. John Wayne/Orange County Airport (SNA) is smaller but only 15 miles from Disneyland.